Planning days out with this one is fairly easy, as long as it involves trains of some sorts. Sometimes just a trip to a station, without even boarding a train is enough as we sit and wait for the arrival of several trains talking about the tunnels, signals and tracks. We wave to the driver and guard and talk about where the passengers may be heading to, and watch it depart then we too leave the station. But this time we boarded the train as well off on a little adventure. Joining in with Jodi once more! Thank you! It does make for a pretty good (and cheap!) outing for certain train obsessed little ones, and play dates! If it's not catchphrases, it's theme tunes! Great shot! 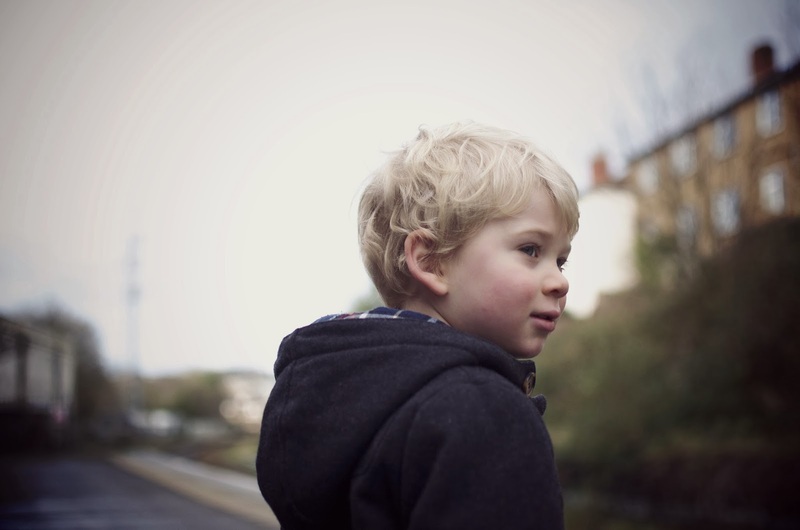 These funny train obsessed little people, Henry is also very happy to just potter around on trains or at stations. I know, it makes it a little bit easier sometimes to plan something fun to do, especially if it's just going to a station as it's free!